On November 5th, Bain Capital, the Company Mitt Romney founded, will ship 170 US jobs to China. On November 6th, Mitt Romney will ask to be your President. Sensata technologies manufactured sensors for US automobiles, ships, electronics, appliances and aircraft. It was an inheritor of the intellectual capital of Honeywell, a set of knowledge and trade secrets that was a pivotal component of the US defense industry and critical to US national security. They served a broad range of customers from GM to the US military. The company helped to support a vital economy in Freeport Illinois. That was all before Bain Capital got a 51% stake in Sensata and began doing the terrible work of sending the company, its intellectual property and, most importantly, its jobs to China. 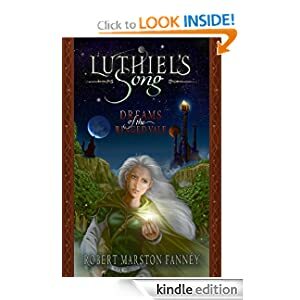 The first phase of this transfer of US jobs, intellectual and economic capital to China involved training Chinese workers and a transfer of the trade secrets of a US company to Chinese shores. Sensata employees were forced by Bain to train Chinese workers at the American facility. 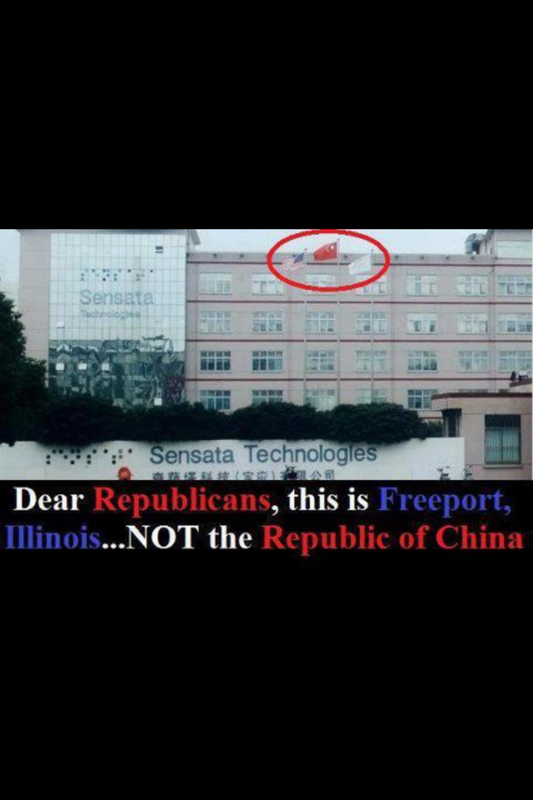 And when Chinese workers came, the company Mitt Romney founded forced Sensata to lower the American flag. So, for a time, American workers labored under a de-flagged US company to hand over jobs and US trade secrets related to national security to the Chinese even as this activity created big profits for Bain company executives and major share holders. It is important to note that the loss of these jobs from US shores doesn’t help the impoverished Chinese workers who are forced by China and by companies like Bain to work in terrible sweat-shop conditions at low wages and at little hope for economic advancement. So what Bain’s transfer of Sensata jobs to China represents is the favoring of building slave wage overseas jobs in pursuit of short-term profits over US middle class jobs, building the American dream, and long-term prosperity at home. The second phase of Bain’s activity at Sensata will wrap up on November 5th, the day before the US Presidential election, when Sensata’s 170 workers are fired and the transfer of US jobs from this vital US industry to China is complete. More than anything else, this is Mitt Romney’s legacy. He founded Bain Capital. He pioneered its outsourcing and shipping US jobs overseas for profit practices in the 1980s and 1990s. He developed that model for liquidating US jobs and replacing them with low-wage work overseas which so many of the greedy in this country have used for their own enrichment. So, sadly, Sensata is but the most recent of scores and scores of US companies whose jobs were sent to China as Bain profited. And today, as a major share-holder of Bain Capital, holding more than 8 million dollars in company stocks, Romney still profits from the terrible practices he put in place when he sat at Bain’s helm. These facts weren’t lost on Sensata’s workers who organized a petition with 35,000 signatures pleading with Mitt Romney not to ship their jobs to China. Thus far, all they’ve earned is silence. Yet Mitt Romney is asking Americans for a favor on November 6th. He’s asking us to trust him. He’s asking us to ignore the Americans who worked at Sensata and so many other US companies whose jobs and intellectual capital were sent to China. He’s asking us to believe he holds Americans’ best interests at heart, despite making large profits from shipping US jobs to China and keeping that money in a secret Cayman Islands bank account in order to dodge paying US taxes and support the American public interest. He’s asking us to believe he is a patriotic American even though it is the practice of the company he founded to lower the US flag on American workers who are forced to labor to train their Chinese replacements. How can we trust a man who built his legacy on a foundation of harm to Americans? How can we trust a man who, even now, ignores the plight of the workers the company he founded continues to victimize, continues to push onto US government assistance roles and remove their hopes of economic independence? And how can we trust a man who has, throughout his entire career in business favored China over America and personal profits over the best interests of the American people? Mitt Romney — If You Care About Americans, Then Why Are You Still Profiting From Shipping Jobs to China? 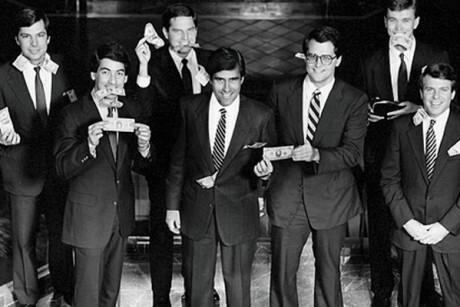 Remember all the hullabaloo earlier this year over the company Mitt Romney founded — Bain Capital? Remember all the news reports, blogs, and personal testimonials about people who lost their jobs after Bain bought out companies, drove them to bankruptcy by taking out debt and paying themselves via checks, and then shipped jobs overseas to places like China where workers were forced to work for less than a dollar an hour in sweat-shop conditions? Remember how Bain was exposed for pioneering the model for sending the jobs of US workers to places like China and profiting from it? Remember how many other companies in the US then duplicated this model, in essence, creating a massive industry entirely dedicated to devastating America’s middle class jobs? Well, it’s still happening. Bain is still shipping US jobs to China and Romney is still making money from Bain’s actions. Money that will likely end up in Romney’s foreign tax shelter so he can avoid contributing to the very US government whose helm he is now exerting every effort to attain. In Freeport Illinois today, over 170 employees of Sensata Technologies are now at imminent risk of losing their jobs. The reason? Bain capital recently gained a controlling stake in Sensata and is now planning to outsource the 170 middle class jobs at Sensata to China. Workers may now have only days before they lose their jobs. Sensata is a high-tech industry. It produces sensors used in ships, aircraft, automobiles, appliances and other electronics. It supports the supply chain of Ford and GM, both vital US industries. It is an example of a high-value industry that supports well paying jobs and helps to build vital communities around the US. Hundreds of families rely on the wages generated via Sensata’s virtuous cycle of innovation and production. In essence, making things. Many more jobs are also supported via the indirect impacts of this vital industry operating in America. In addition, Sensata is a corporation that provides a critical service to the US military. It designs sensors that are used on military platforms and, as such, provides a vital and sensitive national-security related service. As you have probably already surmised, shipping Sensata’s jobs to China is not just a devastating blow to 170 American families. Not only is it a devastating blow to Freeport, who will lose one of its vital industries. It is a blow to US national security to ship a critical feed-in to the US military manufacturing chain to China. It, in essence, knocks a chink in America’s armor. It is, therefore, somewhat ironic to note that Bain has required Sensata employees to train Chinese workers to produce the equipment and sensors that Sensata designed. This process can be seen as a transfer of intellectual property related to a national security interest directly to China. In addition, and perhaps more disturbing, is the fact that Bain has required the company to lower the American flag for as long as a week while Bain employees were operating on Sensata grounds. No explanation was made for this rather alarming and disturbing practice. And it begs the question — what does Bain have against the American flag and the American nationality itself? After bearing insult after insult to livelihood, to prospects, to happiness, and to that vital link with the shining value of Americanism and of the hopes she represents — life, liberty, equality — the workers of Sensata broke. They decided to take action. In a brave show of rebellion against the oppressive and unAmerican outsourcing practices of Bain Capital, Sensata workers have organized a rally against Bain’s heinous activities. They’ve established Bainport — an ongoing protest against Bain’s outsourcing activity. And they will stage a rally there at 3 PM tomorrow to draw attention to a company Mitt Romney founded and that is the very legacy of his career in business. Workers from such companies as French Sampsonite have joined with Sensata workers and will vent their outrage for Bain’s unjust practices tomorrow. Julian Bond, former chair of the NAACP has also joined with Sensata workers in solidarity. In July, the Freeport City Council unanimously passed a resolution calling on Romney to meet the workers and use his influence at Bain to intervene on their behalf. Illinois Gov. Pat Quinn (D) echoed their call during a trip to Freeport later that month. The situation has even become an issue in the congressional race in Illinois’ 17th district. So the question comes to Mitt Romney. Why? Why do you keep hurting the American people? Why do you risk American security by shipping vital technology jobs to China? Why have you sought and earned so much profit from so much harm? And why, if you care about Americans, if you really care as much as you have said on the campaign trail over the past two weeks, why are you allowing the destructive processes you pioneered to continue? If you, Mitt Romney, really do disavow your heinous and disrespectful remarks about 47% of Americans, if you really do feel sorry, then why not use your clout to stop this harm? Though you are not currently the CEO of Bain, you are certainly a major share holder with rights to the company proper. If you so chose, you could use your clout as founder. You could stop the system of harm that you designed from continuing its awful work. And what do you, Americans, think of someone running for President who has profitted so much from the liquidation of the American worker? Who continues to profit from their liquidation? Is this man patriot enough to be President? And could he be trusted to use that Presidential power in the interest of the people of America? The real Americans his business practices have hurt so much.